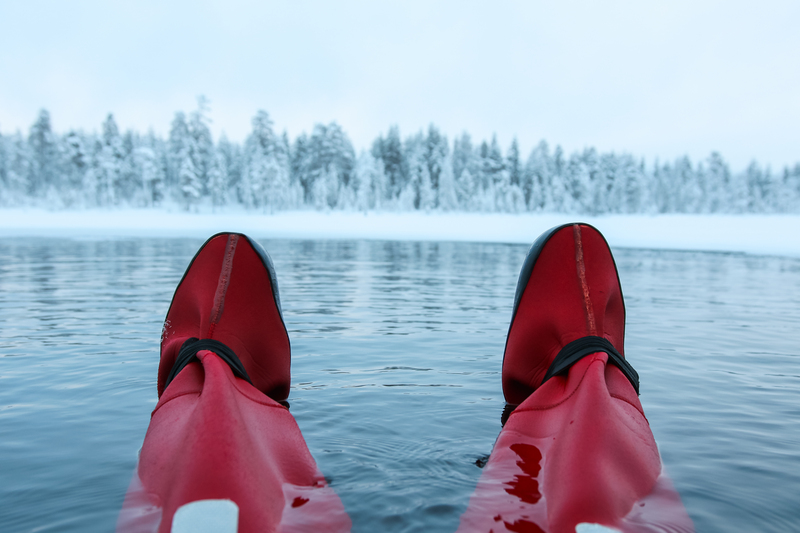 Dip yourself into the frozen lake for an amazing and relaxing experience! Dip yourself into the frozen lake for an amazing and relaxing experience! 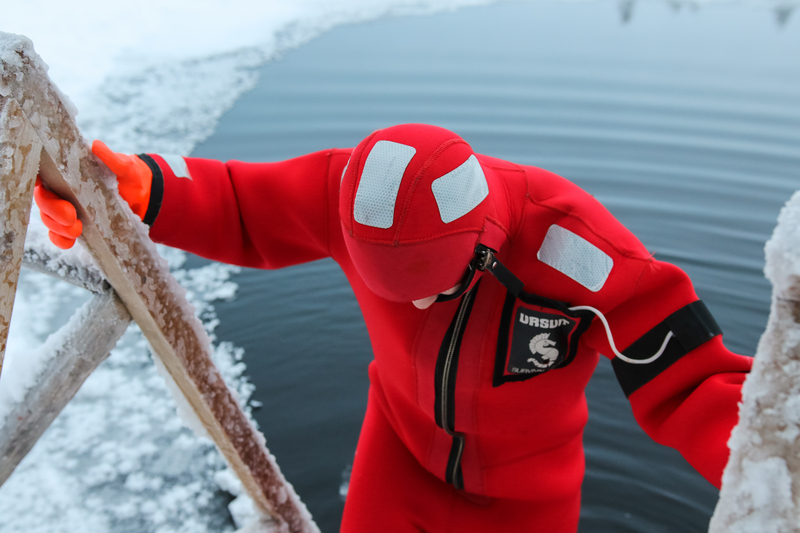 This guided step is totally safe with high-quality rescue suit that covers your whole body and keeps you dry. 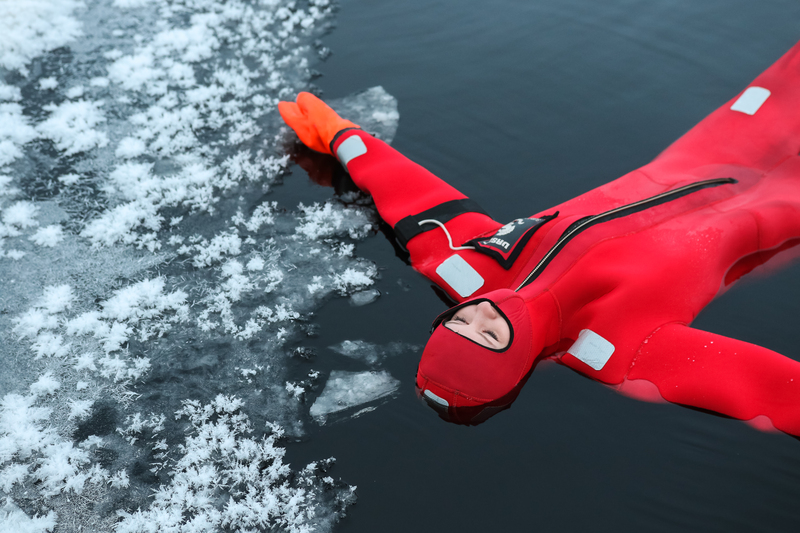 As you have your own clothing under the suit you will not get cold even in the open 0-degree water. Lying down in the ice hole between the ice blocks is something worth trying, the circumstances truly are arctic! After floating you have time to go around the fire place and enjoy a hot drink and biscuits. Please note, this program is not suitable for children, minimum height for floating is 120 cm. Each traveller is instructed well before stepping into the water. 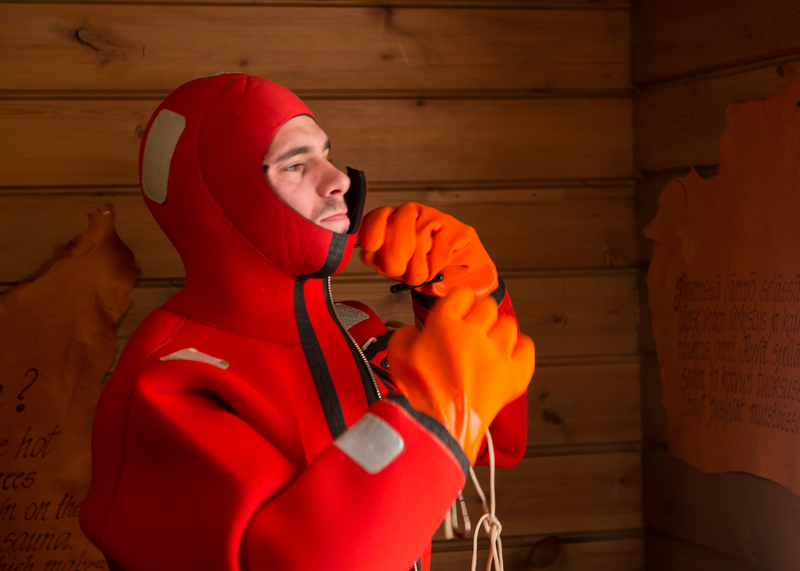 No thermal clothes are needed under the floating suits.